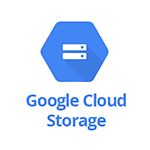 Use SignalFx to monitor Google Cloud Storage via Google Cloud Platform. Requests / min - Total rate of API calls on bucket. Requests / min per Method - Rate of API calls on bucket grouped by method. 2xx Requests - Number of requests that responded with a 2xx response. 4xx Requests - Number of requests that responded with a 4xx response. 5xx Requests - Number of requests that responded with a 5xx response. Sent Bytes - Amount of bytes sent over the network by the bucket. Sent Bytes / min per Method - Amount of bytes sent over the network by the bucket aggregated by Method. Received Bytes - Amount of bytes received over the network by the bucket. Received Bytes / min per Method - Amount of bytes received over the network by the bucket. Request Count / min - Rate of total number of API calls. Top Requests / min per Bucket - Buckets with top 5 API calls. Total Received Bytes - Total bytes received by all buckets put together. Received Bytes per Bucket - Lists total bytes received by each bucket. Total Sent Bytes - Total bytes sent by all buckets put together. Sent Bytes per Bucket - Lists total bytes sent by each bucket. Delta count of API calls, grouped by the API method name and response code. Delta count of bytes received over the network, grouped by the API method name and response code. Delta count of bytes sent over the network, grouped by the API method name and response code.